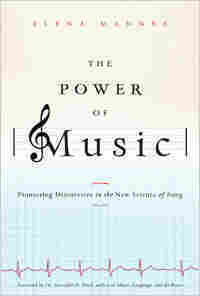 'The Power Of Music' To Affect The Brain Science all but confirms that humans are hard-wired to respond to music. Studies also suggest that someday music may even help patients heal from Parkinson's disease or a stroke. 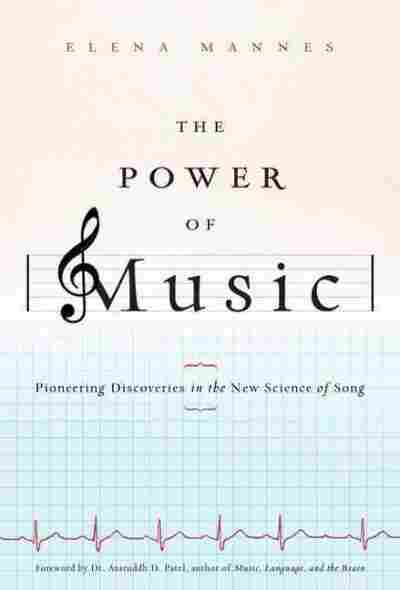 In The Power of Music, Elena Mannes explores how music could play a role in health care. 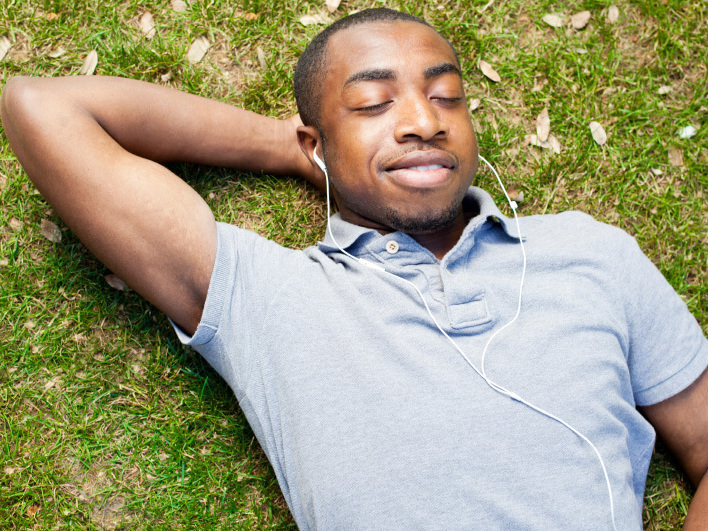 Listening to music can make you feel more relaxed, but in some cultures, it's actually used to ease pain. Science all but confirms that humans are hard-wired to respond to music. Studies also suggest that someday music may even help patients heal from Parkinson's disease or a stroke. In The Power of Music, Elena Mannes explores how music affects different groups of people and how it could play a role in health care. Mannes tracked the human relationship with music over the course of a life span. She tells NPR's Neal Conan that studies show that infants prefer "consonant intervals, the smooth-sounding ones that sound nice to our Western ears in a chord, as opposed to a jarring combination of notes." In fact, Mannes says the cries of babies just a few weeks old were found to contain some of the basic intervals common to Western music. She also says scientists have found that music stimulates more parts of the brain than any other human function. That's why she sees so much potential in music's power to change the brain and affect the way it works. Mannes says music also has the potential to help people with neurological deficits. "A stroke patient who has lost verbal function — those verbal functions may be stimulated by music," she says. One technique, known as melodic intonation therapy, uses music to coax portions of the brain into taking over for those that are damaged. In some cases, it can help patients regain their ability to speak. And because of how we associate music with memories, Mannes says such techniques could also be helpful for Alzheimer's patients. Less recently, archaeologists have discovered ancient flutes — one of which is presumed to be the oldest musical instrument in the world — that play a scale similar to the modern Western scale. "And remarkably," Mannes says, "this flute, when played, produces these amazingly pure tones." It's a significant discovery because it adds to the argument that musical ability and interest were present early in human history. Many musicians have an instinctive understanding of how musical sound interacts with our bodies. They know — they feel — that sound impacts our bodies in a way no other art does. Opera singer Irene Gubrud says, "As a very young child, I experienced who I was through sound. I felt whole." Daniel Bernard Roumain, a young cross-genre violinist who is known as DBR, thinks one reason music is so powerful is that sound actually penetrates our bodies: "You know when someone says that a piece of music 'touched me' or 'moved me,' it's very literal. The sound of my voice enters your ear canal and it's moving your eardrum. That's a very intimate act. I am very literally touching you, and when you speak to me, you are literally touching me. And then we extend that principle to the sound of a violin." The conductor and pianist Daniel Barenboim believes that our early connection to sound is another reason for its power — one that in today's world we sometimes forget. He thinks that because we live in a very visual society we're more aware of what we see than what we hear. But he reminds us that the latest scientific evidence reveals that the ear, which we now know is active in the womb, has an advantage over the eye. He also says: "The ear has a head start over the eye, which doesn't see anything until it comes out. The eye is also something that one can control more fully. If you don't like the way I look, and you don't want to see me, you close your eyes and I disappear. But if you don't like my voice and you're in the same room, then you cannot shut your ears in a natural way. Sound literally penetrates the human body." This human relationship to sound starts early. The fetus begins to develop an auditory system between seventeen and nineteen weeks. Already, we are in a world of sound, of breath and heartbeat, of rhythm and vibration. But how do we know what the fetus actually hears? Until recently, there were different theories. Some doctors thought that the fetus could hear only some frequencies, probably high ones. It certainly wasn't known whether we could hear and respond to music before birth until the groundbreaking research of Sheila Woodward, a South African, who wanted to know more about musical sound in the womb. She was a young scientist in the early 1990's — and pregnant; she wondered what music her own child was being exposed to before birth. In her studies at the University of Capetown, she worked with the Institute of Maritime Technology to adapt an underwater microphone so it could be placed in the uterus. Her team came up with a tiny waterproof hydrophone, about two inches long, that doctors found safe enough to put inside the womb. As part of Woodward's research, this miniature microphone was inserted through the cervix into the uterus of a mother in early labor and placed alongside the neck of the unborn child. The mic recorded exactly what was audible inside the uterus as Woodward played music, sang herself, and had the mother sing. "The big question," she says, "was, 'Does music really exist in the womb and is it very different from the way we hear it in the outside world?'" As we listen to the recordings that Woodward conducted with several mothers in early stages of labor, we first hear the rhythmic sound of blood coursing through the uterine artery. Says Woodward, "Nature allows us to evolve with rhythm all around us," And her recordings reveal that a landscape of musical sound does indeed surround the fetus. Along with the natural womb sounds, we can hear the strains of a Bach Brandenburg Concerto being played, or the melody of "Mary Had a Little Lamb" as Woodward sings in a normal tone of voice. The recordings show that the very high frequencies, like the sharp attack of an instrument, are attenuated and sound a bit muffled. The overall effect is like listening to music underwater. But when listening to the human voice, one can still detect whether it's a woman or a man. And the tonal quality of the voice comes through. Just because the sound of music exists in the womb doesn't necessarily mean that the fetus hears it. Yet, the "startle response" of the fetus was measured as well, and Woodward's team found that when music is played, the fetal heart rate becomes slightly elevated. Woodward says it was clear from the fetus reacted, as if to say, "Something's happened and now there's music!" Other studies show that even if only the mother hears music — if she has headphones on, and it is music that she finds soothing — the baby's heart rate lowers while the mother is listening. If the mother finds a certain piece of music stressful, the baby's heart rate goes up. So the fetus is echoing the mother's response to the quality of the music. Woodward is convinced that we begin learning about music even before birth. She points out that even when music that can penetrate the womb is absent, the fetus is surrounded by those natural rhythms of the body — heartbeat and pulse and breath. Excerpted from The Power Of Music by Elena Mannes. Copyright 2011 by Elena Mannes. Reprinted by permission of Bloomsbury Publishing.